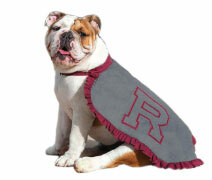 Redlands is a place where you can create, lead, and contribute. 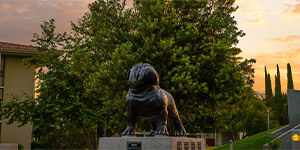 In the heart of sunny Southern California, the University of Redlands campus stands out as among the most beautiful in the West. Our 160-acre campus features a mix of classicand contemporary architecture, lush green trees, and friendly faces wherever you go. The focus of your education will also be personal. Students are engaged inclose-knit classroom environments, with faculty mentorship integral to your four-year experience. A student-faculty ratio of 13:1 and average classsize of 18 ensures you’ll connect with faculty in and out of the classroom. Approximately 40 students enroll each year in the Johnston Center for Integrative Studies. As a Johnston student, you’ll take charge of your education by designing your own program and interdisciplinary courses. Working withfaculty mentors, you’ll put together personalized contracts that emphasize areas of interest and academic goals. No grades are given; you’ll receiveextensive written evaluations from your faculty. Johnston students live and learn in a two-hall complex that includes residence rooms, faculty offices, classrooms, and community spaces. Johnston is one of the firstand longest-running alternative disciplinary programs in the nation. After you cross the stage, you’ll join the University’s extensive alumni network. Forbes ranks Redlands in the top 5%of all colleges in the nation for career prospects for alumni, high graduation rates, and low levels of debt for graduates. Nearly 90% of our recent graduates were employed or pursuing an advanced degree one year after graduation. Alumni have been hired by Apple, Boeing, Disney, Google, J.P. Morgan Chase, the National Park Service, the Peace Corps, and other well-regarded employers. 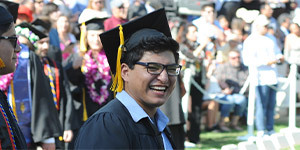 Redlands is committed to making your education valuable and affordable.More than 90% of students receive some type of financial assistance in the form of scholarships and/or grants each year. All students who apply for admission are considered for merit scholarships ranging up to $30,000 per year in value. Redlands also understands the importance of graduating in four years. Through collaboration and advising with faculty, you’re guaranteed a pathway to graduate in four years—that’s the Redlands Promise.